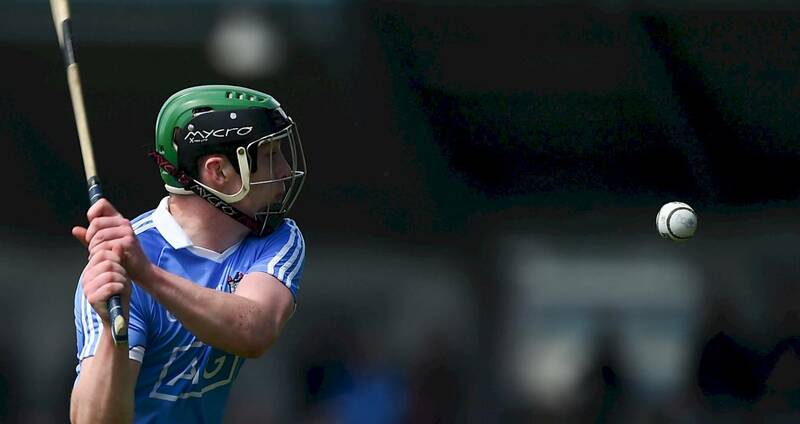 Dublin minor hurlers made it three wins on the bounce with this comfortable Leinster MHC quarter-final victory over Antrim in Dowdallshill, Louth on Saturday afternoon. The Dubs led 2-3 to 0-3 at the break but put in an impressive scoring display of 1-13 to 0-1 in the second period to run out 21-point victors and book their berth in a provincial semi-final. Both Leinster MHC semi-finals take place next Saturday: Offaly v Kilkenny; Wexford v Dublin (venues, times tbc). Dara Purcell and Luke Swan hit the first half goals with early second half sub Seamus Fenton making a positive impact in the second half. Swan gave his side the ideal start when he reacted well to deflect a long delivery from Liam Dunne to the Antrim net in the opening minute. Thirteen minutes in Purcell showed his eye for goal with a good finish. With wind advantage in the second half Dublin moved out of sight with. However, they also had to thank keeper Jack Lambert for a penalty save just two minutes into the second half when denying Ryan Hill. Sub Fenton raised a green flag in the 44th minute on his way to a personal tally of 1-3 from play as seven different scorers got on the scoresheet for Mike Connolly's side. SCORERS – Dublin: D Purcell 1-4 (0-2f), S Fenton 1-3, L Swan 1-2, P Christie 0-3, L Dunne 0-2 (0-1f, 0-1 ‘65’), A O’Neill (0-1f), B McSweeney 0-1 each. Antrim: R Hill 0-3 (0-2f, 0-1 ‘65’), C Bohill 0-1. DUBLIN: J Lambert; K Byrne, E Carney, F Murphy; C Hogan, A O’Neill, I O hEithir; D Leavy, D Power; P Christie, C Foley, C Murray; L Dunne, L Swan, D Purcell. Subs: S Fenton for Dunne (34), B McSweeney for Leavy (41), J Murray for Lambert (46), S Foran for Power (48), D Breslin for Swan (50). ANTRIM: K McAuley; D Stevenson, A Gallagher, C Hargan; C Donnelly, D McCloskey, C McKernan; C O’Connor, N O’Connor; J McAllister, R McAleer, C Bohill; E McGrath, R Hill, D Murphy. Subs: C Crossan for McGrath (17), R McFarlane for N O’Connor (26), S O’Boyle for C O’Connor (36), C McQuillan for Hargan (48), G McIlhatton for McAleer (48).